PARIS: With a wave runup of nearly 200 metres, the tsunami that ripped through an Alaskan fjord in 2015 was one of the largest ever documented. But with no-one killed, it almost went unnoticed. 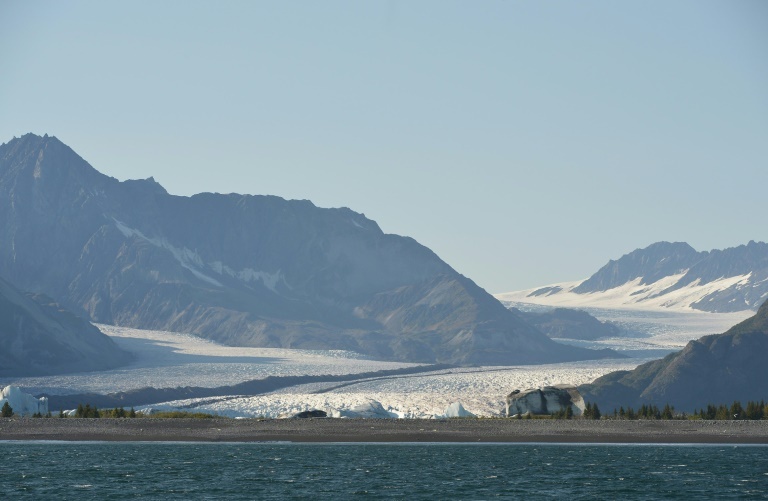 It was triggered by a massive rockfall caused by melting of the Tyndall Glacier, which experts say has given them the clearest picture to date of landslide-generated tsunamis. With global warming causing glaciers to shrink at an unprecedented rate, there is an increased risk of tidal waves triggered by the collapse of rocky slopes weakened as ice retreats, a study in Scientific Reports said Thursday. “As glaciers thin around the world, they are modifying their landscapes dramatically. In the case of Taan Fjord, the result was a massive tsunami,” said Dr Dan Shugar, assistant professor of Geoscience at the University of Washington Tacoma and co-author of the report. “The tsunami was triggered by a massive landslide in October 2015 that occurred above a glacier that had retreated dramatically in the late 20th century,” he told AFP. The tsunami generated a wave runup, the maximum vertical extent of wave uprush on a beach, of 193 metres (633 feet). Glacial ice supports and undercuts steep slopes so when the ice melts, the underlying bedrock is left exposed and unstable, increasing the likelihood of rockfalls and landslides. “We need to better understand the risk posed by these steep slopes in a changing climate,” Shugar said. The study provides a benchmark for modelling landslide and tsunami hazards, the authors said. Most of the recent risk research on tsunamis has focused on those caused by earthquakes, such as one in the Indian Ocean in 2004. Little is known about landslide tsunamis, which are relatively rare, with the best-documented example dating back 60 years. “This is the first time scientists have been able to study a landslide tsunami from start to finish,” said co-author Dr Bretwood Higman, executive director of Ground Truth Trekking. “For decades, the best-studied landslide tsunami was the Lituya Bay event in 1958, however many of the techniques we’re using were imprecise or impossible then,” he told AFP, referring to an event which also occurred in Alaska. As well as being rare, such events tend to occur in remote, dangerous locations and the traces of geological evidence left behind tend to get quickly covered up. This time, experts were able to capture high quality satellite footage and other data before the slide that showed how the ground was cracking and shifting as the glacier retreated. Crucially, they were also able to get a detailed picture of the distinct sedimentary record left by the tsunami that could shed light on earlier incidents and also provide clues to predict future risks. “We were able to map the deposits of this event in great detail, allowing us and other researchers to better reconstruct where — and when — similar events have occurred elsewhere, thereby building a more complete picture of this hazard,” Shugar explained. Signs that the rock face in Taan Fjord was unstable were first spotted nearly 20 years ago, with actively crumbling glacial slopes offering a potential warning about where such events might occur. “Monitoring gradual downslope motion in mountain ranges around the world, while a technical challenge, would provide a step forward in our ability to mitigate risk,” they wrote.